Hidden in the seclusion of the Bavarian mountains, King Ludwig II built two of his dream castles, Neuschwanstein and Linderhof. This trip from Munich shows you both of these extraordinary castles, the legacy of of Bavaria's fairytale King. 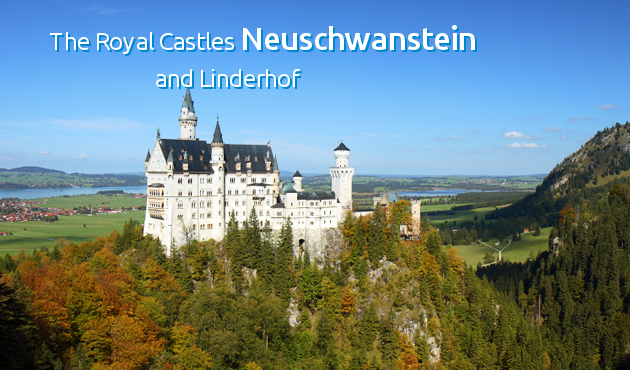 Capture the grandeur of these castles and the picturesque mountain scenery of Bavaria in one magical day. 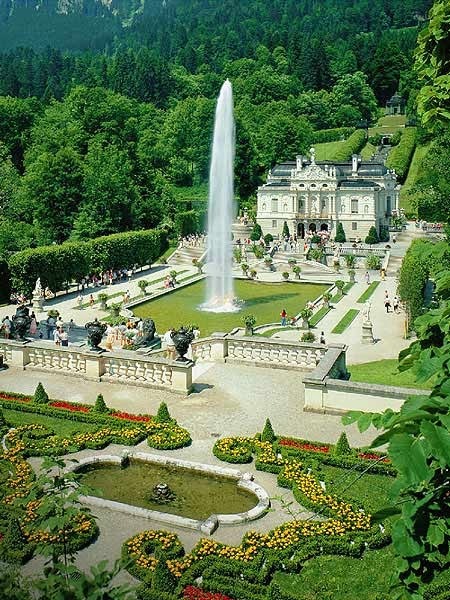 Departing Munich, visit the smallest of three royal castles, Linderhof, which was built by King Ludwig II during the 19th century as a hunting lodge. Built in French Rococo style, the castle has a Moorish pavilion which can be visited during your one hour stay. You have the option to join a guided tour of the interior of Linderhof. 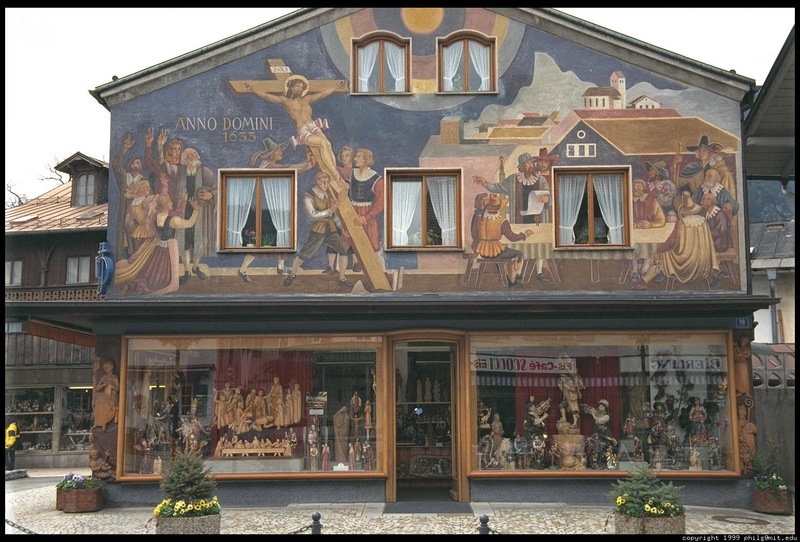 After departing Linderhof, you will have a short shopping stop in Oberammergau, world-famous for its woodcarvers, richly painted houses (Luftl-paintings) and Passion Play. On the approach to Neuschwanstein, it will quickly become clear as to why this magnificent neo-Romanesque style castle is the most well known castle in the world. It appears through the mist like something out of a fairytale, and you will not be surprised to hear that the man who conceived its design - King Ludwig II, was considered quite eccentric. If it all seems very familiar, it may be because the castle was the inspiration for Disney's Sleeping Beauty Castle. Select a month to view a calendar of availability and departure details. Tour departs from the front of the KARSTADT Department Store at Bahnhofpl. 7, opposite the main railway station. The meeting point is easy to locate and your guide will be waiting for you. You can present either a paper or an electronic voucher for this activity. What's this? Loved this tour! The tour experts were knowledgeable and kept to schedule! Their accountability system for getting us the tickets to the castles were well planned and . The bus was clean and comfortable! I will definitely look for more tours with them! This was a great tour with a ample time to sight-see and have fun. Highly recommend this to everyone. The only notes I'd add to the tour description would be to wear good walking shoes (one gentleman in our group had dress shoes on which were a nightmare for walking uphill in the snow! ), and for vegetarians to pack their own lunch. The tour company was prompt and the guide provided explanations with humor along the drive to the sites. He was very good about giving direction and keeping everyone moving on time so we got to spend enough time at each site. 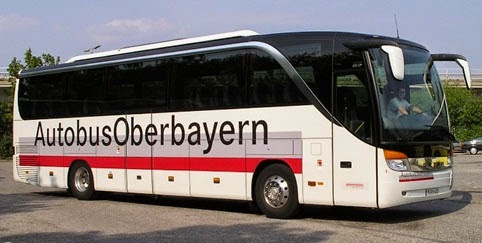 The amount you pay is essentially for the convenience of the bus ride and the guide's commentary between sites as people at Ludwig's palace and the Castle provide tours when you get there, but I felt it was worth it to meet other travelers and not have to work about how to get around. Both sites were lovely. We traveled early April and the weather was beautiful and crowds light. The walk uphill to Neuschwanstein was a bit of a trial for me at 57, female, and in average shape, but I made it in about 30 minutes. The tour guide suggests 40-45 minutes, and if you aren't travelling with others who want to race up the hill, you'll be fine. The interiors of both castles are ornate but show their age. It doesn't look as though they are kept in the best of condition. There are humidifying systems in the rooms, but they could use a good dusting. King Ludwig died before Neuschwanstein was completed so only the top floor of the castle was completed, furnished and livable while he was alive. A film inside also shows how much of the original plan was left unfinished. The bus ride out and back is a couple hours, but through lovely scenery. It was just like stepping inside the world of fairy tales. And I'm not just talking about the castles but everything in between - the Alps, the green fields, early days of spring where you see white patches of snow coupled with trees starting to look green, the small towns and villages... It was a very wonderful and scenic tour that I would recommend to everyone. 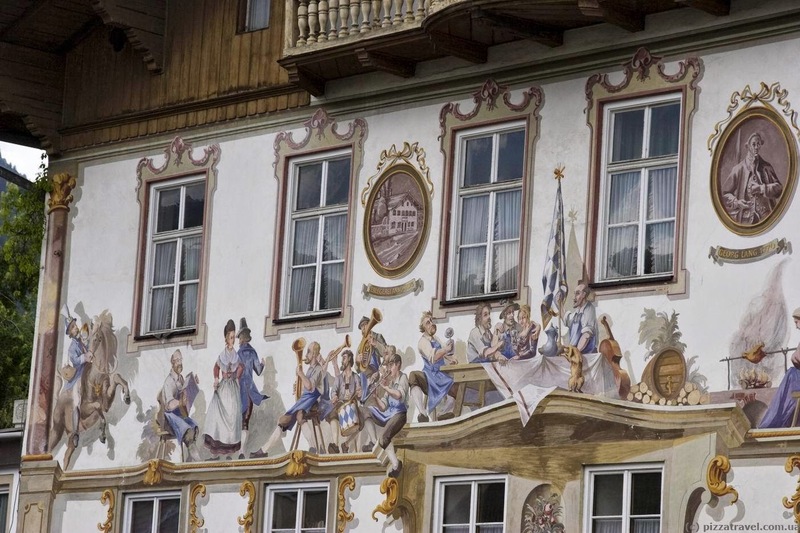 The bus tours not only brings you to the 2 castles - Linderhof and Neuschwanstein, it also will bring you to Oberammergau which is a very lovely village. Although you have to pay for the tours inside the castles themselves, the reservations would already have been made so it's just a matter of paying up and queuing to get inside. Plus, they give you freedom to go around and do some shopping as well. I would have wanted to get to know more details on the monarchy of Bavaria, and not just with Ludwig II, but over-all, this was a great tour that you would not want to miss. Our visit to Neuschwanstein Castle was excellent. The small group tour was perfect for us. No big bus of dramas. We caught train to Fussen with tour guide giving us historical info along the way much to the delight of the other passengers. Castle itself was fascinating. The view from the bridge was breathtaking. After viewing the castle, we were walking back down the hill with hot chocolate in hand, when it began to snow lightly. As we live in a tropical climate, we found it amazing. Unfortunately, the group missed the usual train back to Munich, but we adjourned to nearby pub, to sample local beer and wait for next train. Whole tour was fantastic. Delightful day. Excellent trip and great value! Beautiful structure and setting! Jeff our guide did an awesome job of describing the complete history of Bavaria, Germany and Ludwig. The train ride to and from was a great opportunity to see the country side and especially take photos from windows that opened. Highly recommend this tour and especially Jeff! Neuschwanstein Vs Disney : What is the best ? What is the best ? Disney Castle or Neuschwanstein Castle Comment your answer below !!! 10 Images Of Neuschwanstein You can't stop looking at !! Get Updates - For Free!